In the last week, Russia has joined the United States in dismantling the Intermediate-Range Nuclear Forces Treaty, signed in 1987. It was seen as one of the major factors in hastening the demise of the Cold War, after a series of near-scares and heightened tensions in the early 1980s. 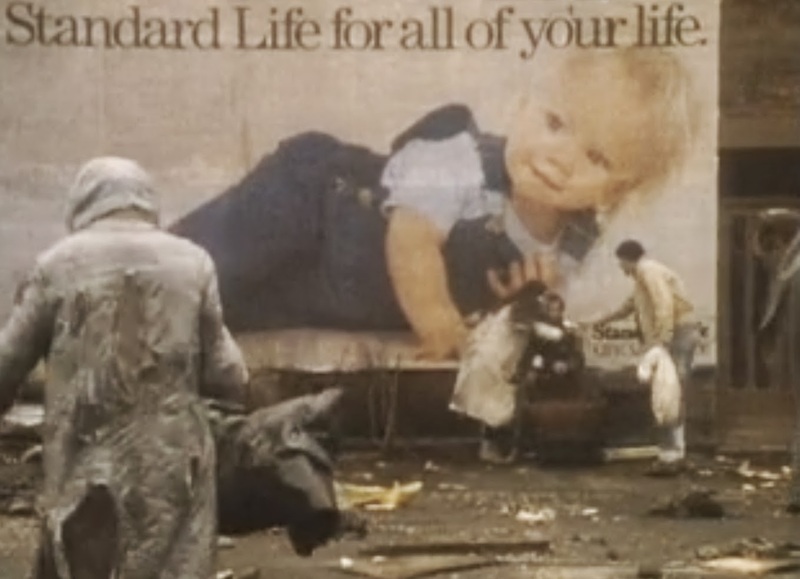 Playing off the shoulder of this was Threads, a BBC drama depicting how a nuclear war between West and East would affect the lives of everyday people in the city of Sheffield. 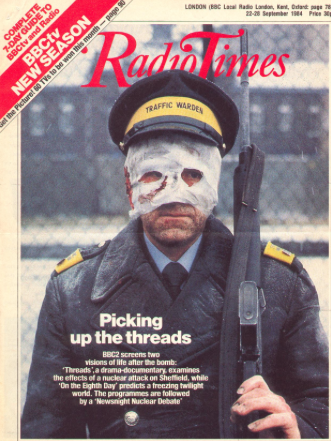 The scariest thing to come out of the year 1984 wasn’t A Nightmare On Elm Street or people thinking that Simon Le Bon was the peak of fashion – it was a BBC drama called Threads. 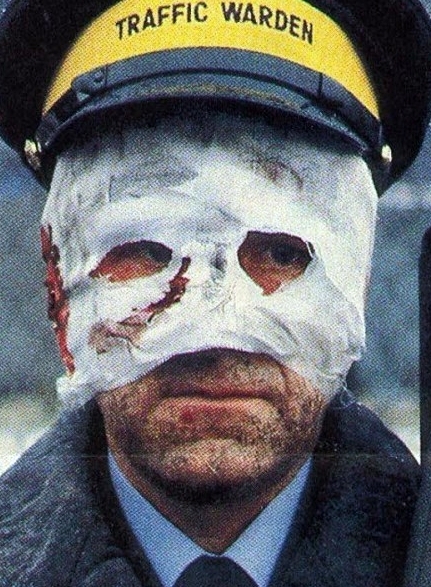 The film is relatively unknown to contemporary audiences or those without a good knowledge of British television history, but it is without hyperbole, the scariest film ever made. This statement isn’t made in the same way Hereditary was marketed last year or how The Exorcist terrified audiences nearly 50 years ago and left such a dent in the culture, it’s because it taps into our most primal fears as people. Threads isn’t the scariest movie ever because it’s a high body count movie with gory special effects; it’s because it’s relatable. Much like how comedy sketches strike a note because you can relate to them, horror movies often play well because it plays on that same primal fear. The fear of the everyday mundane being transformed into a hellscape you can’t escape from. Who couldn’t relate to not wanting to die in a nuclear holocaust while society crumbles all around you? And this is directed by the same person who went on to make The Bodyguard. Nuclear weapons are popular plot devices in big-budget blockbusters. Bruce Willis saves the world with one in Armageddon, that one incredibly forgettable actor from Sons Of Anarchy saves the world with one in Pacific Rim, and Robert Downey Jr. saves the world with one at the end of the first Avengers film. In Threads, these same weapons are used to plunge 1980’s Britain and the rest of the world into a pre-industrial hellhole where the living envy the dead. Of course, you can’t discuss the movie without considering the environment it was produced. The film premiered in September 1984. 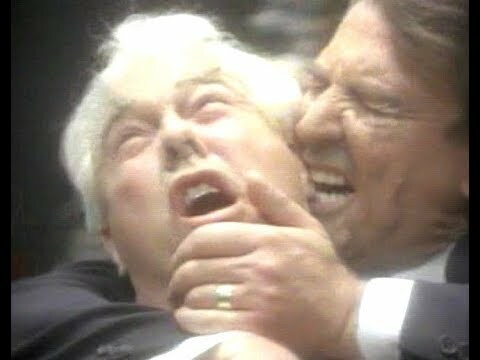 The biggest song of the summer in the UK was “Two Tribes” by Frankie Goes To Hollywood, a song about nuclear war, and the music video depicts the leaders of the USA and USSR engaging in a wrestling match. Imagine the 2019 equivalent of this video. 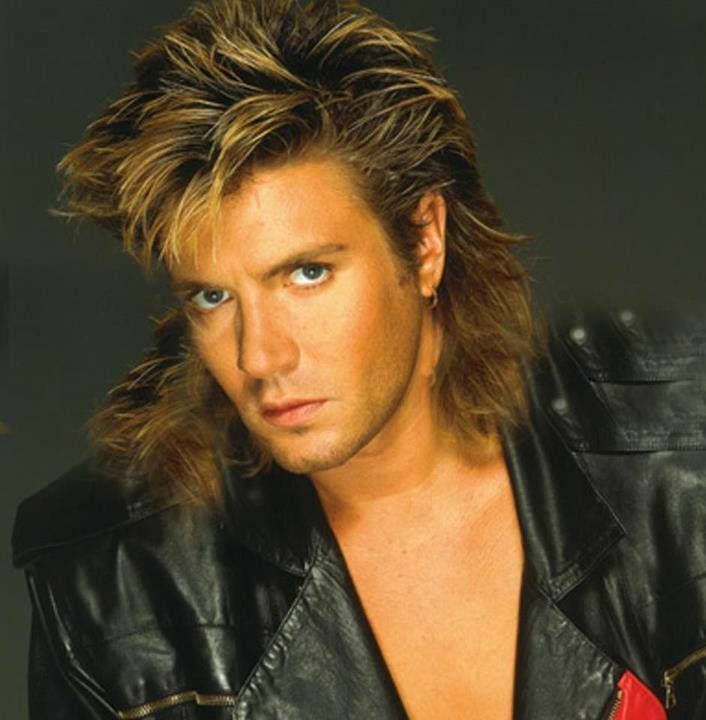 Angela Merkel would be the Holly Johnson. 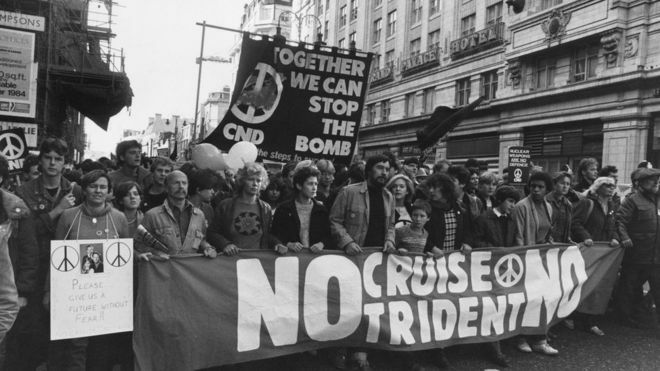 In 1982, 30,000 people formed a human chain around an air force base in Berkshire that was storing American cruise missiles. It’s fair to say that early 80’s Britain had a strong anti-war vibe. People declaring war on fashion declare their war on nuclear bombs. 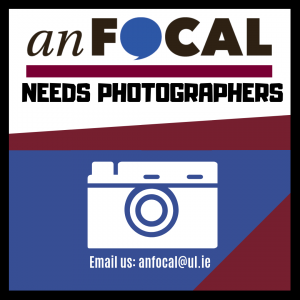 To get a better grasp as to why the film resonated with audiences back in the day and in the cold light of 2019, I asked Scott Fitzsimmons, a lecturer in international relations here in UL, to give us the political and historical context for why the film scared the daylights out of audiences back in the day, and why the film still works now in 2019. “I think there are several reasons why “Threads” not only terrified audiences when it was first released but also continues to resonate today. One is how utterly normal the characters are. There aren’t any Arnold Schwarzenegger or Dwayne Johnson-types in the film who even try to save the day. The characters are regular people who are forced to cope with unimaginably harsh circumstances. They are eminently relatable, which makes it easy to empathize with them and accept the chilling realization that you would probably do no better than they did if a nuclear war ever actually happened. Another reason is that there is no happy ending to the film. From the moment the nuclear attack occurs, nothing ever gets better, and we literally watch the characters we have gotten to know during the first half of the film slowly die while the last vestiges of societal collapse. The film has one of the bleakest final scenes I’ve ever seen. Not to give too much away, but it involves the birth of a child and effectively tells that audience that humanity is doomed. But perhaps the most important reason why the film continues to resonate with audiences is that it conveys important and timeless messages. While the threat of global nuclear war has declined since the 1980s, the film’s argument that humanity, as a species, is standing on the edge of a precipice and at great risk of falling to its doom unless it takes a step back remains highly relevant in the context of rapid human-induced climate change. As with the issue of nuclear war in the 1980s, ordinary people and political leaders during the next few decades will need to show the courage to make significant policy and lifestyle changes to slow down the pace of climate change and mitigate its worst effects. The film also does an excellent job of illustrating that people tend to ignore the warning signs about growing threats. The first half of the film is filled with scenes where characters are going about their business while a news report about rising tensions between the United States and the Soviet Union are playing in the background. 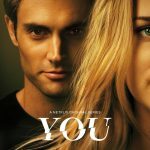 In virtually all of these scenes, the characters pay little or no attention to the reports because they are too preoccupied with more immediate, personal concerns, like an unexpected pregnancy and grocery shopping. These scenes are just as relevant today as when the film was first released because most people still tend to ignore, downplay, or demonstrate hostility toward information about growing societal problems because they either have other things on their mind or are unwilling to accept information that challenges their pre-existing beliefs about an issue. Finally, as the film’s title strongly implies, it argues that “no one is an island”. Even if individual people choose to focus on their own lives and problems and ignore threats to society at large, whether it be rampant economic inequality, climate change, or a nuclear war, they will suffer all the same if that threat manifests itself and undermines the strength of the social connections that all of us need to live happy, healthy lives. 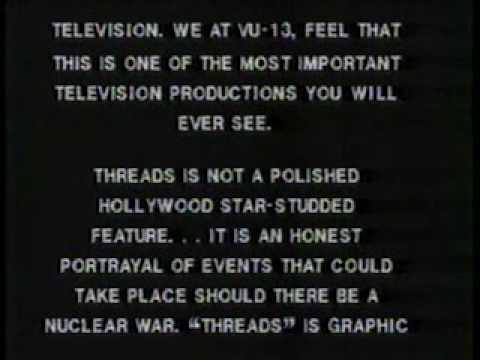 Threads is a grim, haunting film that’s as scary as the day it first aired in 1984 as it is today in 2019. Considering recent political strife, the effects of climate change beginning to wreak havoc on our planet, and now the withdrawal of a treaty that has kept us safe and unvaporised for well over 30 years, Threads still hits with the force of a sledgehammer today. And it doesn’t need jump scares to achieve that. (Major thanks to Mr. Fitzsimmons in his help with this article. Without it, it would merely be a bad film school essay).